Bilal, Black Thought (vocals); Gary Clark Jr. (vocals, guitar); Cory Henry (vocals, keyboards); Questlove (drums); Rest of lineup t.b.a. (-). The legendary hip-hop ensemble The Roots needs no further introduction, of course. 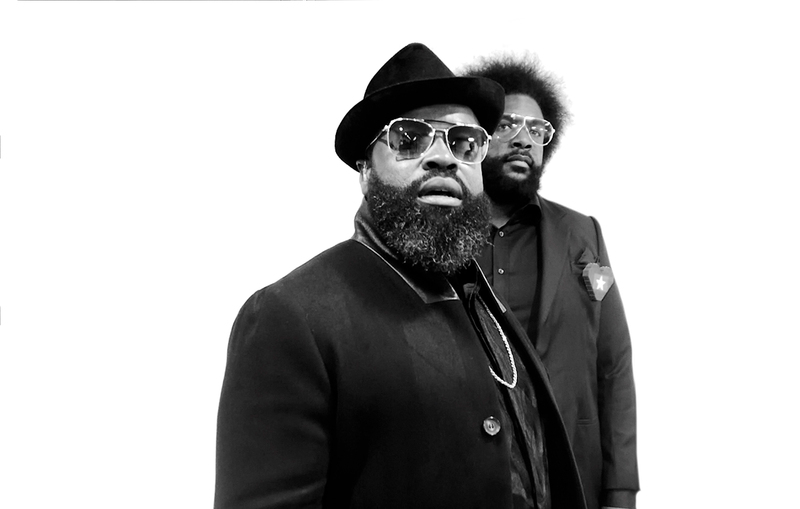 The brainchild of childhood friends Ahmir ‘Questlove’ Thompson and Tariq ‘Black Thought’ Trotter has been in business for thirty years already and is regarded by most as one of the hardest working bands in the music business. The nine-member band has an unrivalled capacity to build musical and swinging bridges between genres like jazz, rap, soul and Afro-funk, with an amazing live show to boot. The Roots also like to share the stage with other world stars. At the last edition of North Sea Jazz, the group from Philadelphia collaborated with Usher in one of the most memorable shows of that year. This must have inspired the gentlemen to concoct more creative conspiracies, because they are bringing several well-known ‘Friends’, namely Cory Henry, Gary Clark Jr., and Bilal, to lift off the roof of Rotterdam Ahoy. This is bound to be another pounding and extremely melodic hip-hop party!